The odds are that the officials do not have any sort of personal relation or affiliation with any school or person in their respective conference at any level of play, be it high school or college. For instance, the son of legendary coach formerly at the University of North Carolina, Dean Smith, is a Division 1 referee. However, he is not allowed to officiate in the Atlantic Coast Conference. The fact of the matter is that these officials go through countless hours of rules and mechanics training. They know what can and cannot be done, and have their primary assignments while on the field or court. As an example, the lead in 3-person mechanics for basketball has primary on contact below the shoulders, the trail has above the shoulders and the center has first dibs on the back side of the play. 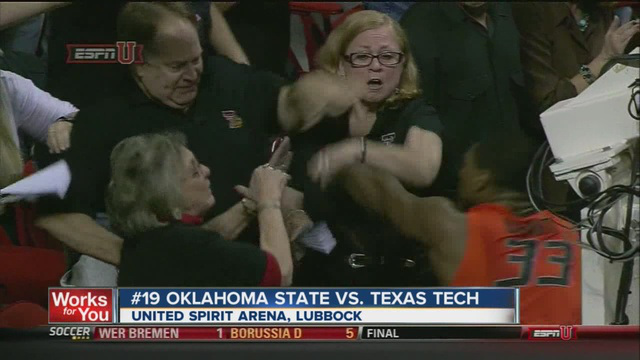 If this trend of overly-rowdy fans doesn’t stop, it could get out of control.